This has been a good week for the Netherlands-based developer Abstraction Games. The port specialist has seen its latest work - the Nintendo Switch version of Ark: Survival Evolved - debut on stage at GDC during the Unreal keynote talk. It was a surprise moment for the company, which created a Switch port of the hit PC game in a matter of weeks - much to the delight of Ark creators Studio Wildcard. "We did not expect to get a keynote announcement," Abstraction CEO Ralph Egas tells GamesIndustry.biz. "But then again our client didn't expect us to deliver a build that is this advanced already. "I got an email from Jeremy [Stieglitz, Studio Wildcard], who said our build was so robust and impressive that they've decided to demonstrate it live during Epic's keynote. That's big news for us. "Most companies usually have a Plan A and a Plan B, and it's Plan B that they're banking on. But we delivered Plan A, and they didn't expect it. They wanted a first playable at this point, but we actually have created something you could almost send for certification. That's how we try to operate. They didn't expect that. And that's why they're all of a sudden shifting gear and doing an entire presentation at GDC." The reveal comes at an ideal time for Abstraction. The firm is an expert in porting games and co-development, and has enjoyed some real success in that space. It has almost doubled its staff count from 20 to 37 over the last year alone. Yet when Abstraction's founders, Ralph Egas and Erik Bastianen, set-up the company, they really wanted to work on their own IP. And this year, after more than a decade, they'll get the chance to do that in a significant way. We've covered the story of Abstraction Games before. But that was four years ago, and it's always worth a recap. The studio was set up by Egas and Bastianen in 2007, who created the WiiWare game Potpourrii in 2008. "It's not really worth mentioning," says Egas. "It was our first game. It was a puzzle game. It was horrible. The graphics were good, but they were actually created elsewhere." Shortly afterwards, major mobile publisher Chillingo was looking for content to launch on Apple's new 'iOS' system. Abstraction decided to work with them on Potpourrii, and they fully converted the game for smartphones in just two weeks. Chillingo was impressed and started working with Abstraction to port some of its mobile games to other platforms. This was done on a royalty basis. Some of the games never released, and those that did just about enabled the firm to break even. That was until 2011, when the duo were handed a game called Angry Birds to release on PlayStation Portable. It was a huge success. "We made money and we were able to hire our first employees," Egas says. "This was the first moment when we felt we were becoming serious business." Angry Birds was the first moment it tasted success, but life as a port studio was never an easy one. Indeed, during its first eight years, the company just about covered its costs. "There were a few times where I thought it wasn't going to work, and saying let's cut our losses and move on," Egas continues. "There were moments where we had to let people go, or we struggled to pay salaries on time. That happened only a couple of times, but the sheer tension of that situation was horrible." "Switch is not as powerful as a PS4 or Xbox One. Everyone knows that. But the difference isn't as big as the general perception would have you believe." That was until it teamed up with Koch on the Director's Cut of Deadlight, which was a co-development project. Abstraction initially pulled together a quote for the work, but it was advised by its agents to increase it. "They were worried that it might look like we were too cheap, or not of high quality," Egas recalls. "There's certain value to the quality of work that you put out. We always ended up doing more development that we initially quoted for, so we really should be working with a bigger budget. It took me eight years to realise this. That has allowed us, over two years, to expand our business and keep growing." Now the firm boasts big clients from around the world, including Deep Silver, Studio Wildcard, Tequila Works, plus Japanese firms such as Spike Chunsoft and SNK. Abstraction has built a reputation for delivering strong ports and quickly. Today, the team is especially proud of the work it's managed to achieve on Ark: Survival Evolved for Nintendo Switch. "Switch is not as powerful as a PS4 or Xbox One. Everyone knows that," Egas says. "Having said that, the difference isn't as big as the general perception would have you believe. "In some locations you need to downsize a bit on the distance you're able to view. But not as much as you'd think compared with Xbox One and PS4. Obviously, in terms of Xbox One X and PS4 Pro, that's a different story. But compared with the base platforms, Switch is not that bad." He continues: "Performance is not really the issue. The issue instead is in the size of carts. The 32GB carts are expensive, you shouldn't be wanting to do that. So we need to fit everything on 16GB, whereas the standard game on PS4 is much, much larger. It's a crazy ratio we're talking about. However, thankfully, there are a lot of opportunities for reduction without changing anything anyone will notice. Another thing we can do is do a cartridge version and then do staggered downloads to make the game complete. That's probably the hardest part. Finding all the new technicalities and quirks that you get with a new platform. "Of course, with the runtime memory footprint, there's not as much as PS4 or Xbox One, so that means you need to reduce the content that is being used at any one time. Partially that's a case of having fewer dinos here or there, and downsizing on actual content experience. But that's only a bit. The rest is just from clever compression algorithms." Abstraction still has a few months left to work on the Switch version of Ark, but it's already reached what it calls the 'tailoring' phase. Whenever it works on a conversion, the developer starts by getting a straightforward port completed. "That's basically getting it to run on your target platform, but not in an ideal way," Egas says. "Maybe the controls aren't quite right yet. Perhaps we've just mapped a mouse pointer to the analogue stick in a console port of a point-and-click PC game. You can still play the game and still complete it, but it's probably going to be horrible. That's a straightforward port. And I kid you not, there are companies out there that have done ports like that and released it. We obviously don't do that." After the basic port, Abstraction then moves to tailoring - making sure the controls, the UI, the achievements and even (sometimes) the content is suitable for the new device. "It's about making it into a product that the customer on that target platform is going to love," he explains. "Because they only know their platform. And they are accustomed to certain things on their platform for every game they play. That's very important. That's what we do." With Ark: Survival Evolved for Nintendo Switch, Abstraction is already into the tailoring stage. "Studio Wildcard only asked for a first playable. That's not even a straightforward port. They just want to be able to play it, but maybe sound isn't there yet. Or no cutscenes. Or not all the controls are implemented yet. Maybe you can walk and do this and that, but you can't craft anything yet. That's a first playable and that's what we agreed. But we went all the way and did a straightforward port on every sub-system, and then some. We still have some work to do, but it's already running close to 30fps in most cases." The game, along with several other projects, will be completed by the summer. Which is when Abstraction will go on the next stage of its journey. A decade on from Potpourrii, the developer is looking to return to creating its own IP with a separate team. "Now we're in a good position with very nice clients and ample financial means to fund our own game," Egas says. "And I am talking a substantial game, a bit like what Ninja Theory has just done with Hellblade. The way they did the independent AAA thing, and how they achieved that... I realised that's what we need to do. So that is what we're going to pursue from July 1st. For that reason we need more people onboard. So we're looking to go from 37 people to around 57 in just a few months time." 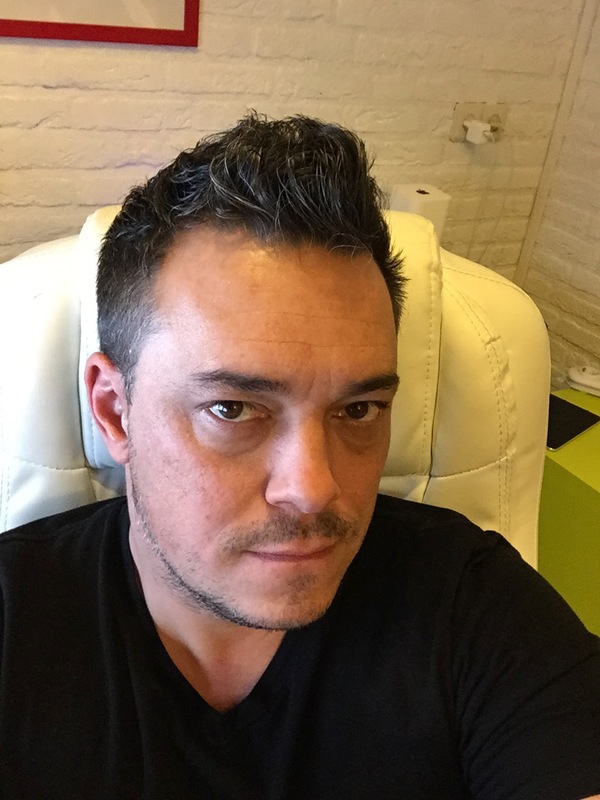 "Now we're in a good position with very nice clients and ample financial means to fund our own game. And I am talking a substantial game, a bit like what Ninja Theory has just done with Hellblade." Abstraction says the key for them is attracting skillful people that fits with the studio's social and cultural ethos. They're also looking to ramp up in the creative department. "Erik and I are both programmers, so we started the company as engineers," says Egas. "Over the years we've tried to catch-up with the creative side, because you need those - not just for our own game, but also for co-development. We are now covered in the creative department as well, but it's not as big as the tech department, and that's partially why we're looking for people. We need a narrative designer, for instance. We are in a position where we're seeking that kind of specialism." Egas says that Abstraction remains proud of its porting abilities. 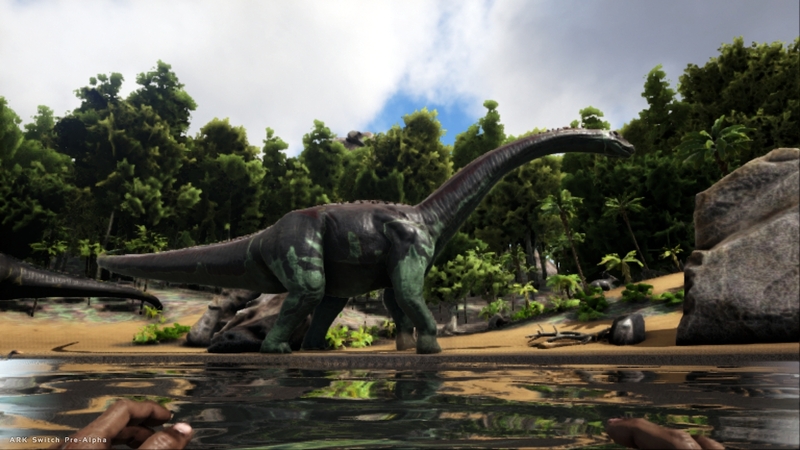 The company has found a technique that works for them, which enables them to perform impressive feats quickly - Ark: Survival Evolved being the latest example. So porting will remain central to its business, even as it looks to build its own independent AAA project. "We are still going to do our bread and butter thing," concludes Egas. "Why would we stop that? It's a very viable business. So we are still going to do what we've been doing for the last ten years. "But we will add this team that will work exclusively on their own IP. I imagine there will be people who go back and forth between the two divisions. Because someone might be good at doing X or Y, and can help the other team on those things. That remains to be seen. But looking at the business model for this year, I know we're going to need more people. And I know exactly the people we are going to need. "So the news this week, with Ark being on stage, couldn't have come at a better time." Impressive, guys. You've earned your cred and I hope you do get into making your own original games also! Maybe we can get you to help us with Subnautica? @Charlie Cleveland: I'd certainly love to see Subnautica on the Switch! Really enjoyed the preview I played on Xbox.